Bananas are one of those items that we ALWAYS seem to have more of than we actually need. In fact I can safely say there is always at least two or three of them sitting in our fruit bowl. While most of the time they are eaten before they start to turn brown and go soft, I do get a little excited when I see a few brown bananas in the fruit bowl as it means I can do some baking! 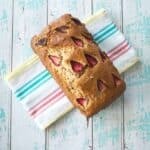 This recipe is adapted for the Thermomix from Donna Hay’s Simple Banana Bread recipe in her book ‘No Time to Cook’. 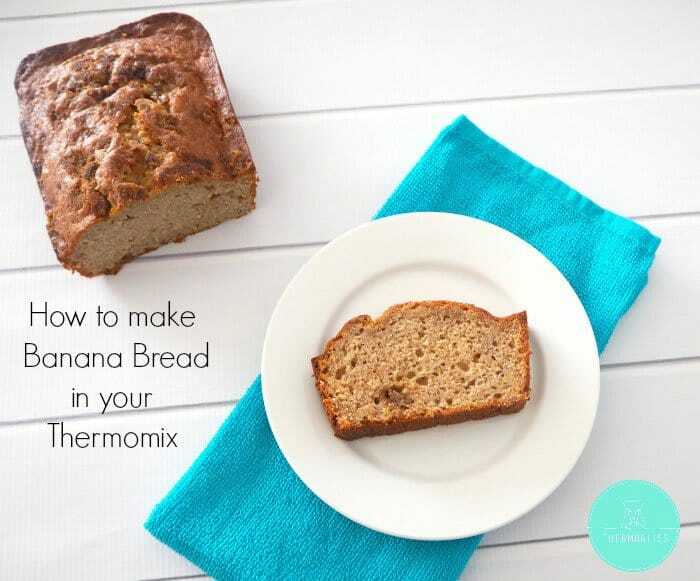 It’s been our go to banana bread recipe for the past few years as it really is easy to make and works every time, so it only made sense to convert it to a Thermomix Banana Bread recipe!! 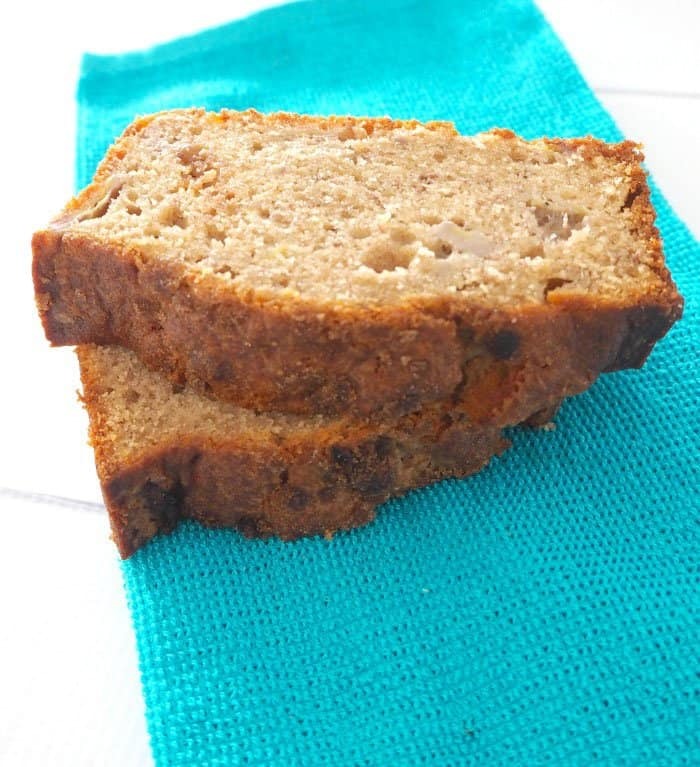 This banana bread can be enjoyed warm or lightly toasted with butter and cream cheese or it also tastes great when eaten at room temperature. You can also freeze any leftovers (that is if you can resist eating it all!) for up to one month. 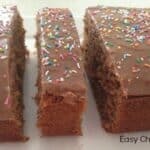 If you would like to try a similar recipe just in a cake version, remember to check out our recipe on Thermomix Banana Cake here! Because it’s freezer friendly I like to have a few pieces cut and stored in the freezer for those times when I’m craving something sweet and have no energy to make anything. 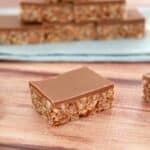 It also makes a great treat for the kids and would be great in their lunchbox as an occasional treat. Do you always have bananas in your fruit bowl too? Preheat your oven to 160 degrees and lightly grease a large loaf tin. Place the plain flour, baking powder and cinnamon into your Thermomix bowl. Blitz 3/4 times on .5sec turbo to sift the ingredients together. Transfer to a separate bowl and set aside until needed. Add the eggs, oil, vanilla extract and bananas (which have been cut into quarters into your Thermomix bowl. Mix for 15 seconds on speed 6 to combine. You may need to mix for longer depending on how ripe your bananas are. Add the sifted ingredients along with the sugar to your Thermomix bowl and mix for 10 seconds on speed 5. Scrape down the sides of your Thermomix bowl and mix for a further 5 seconds on speed 5. 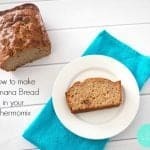 Best banana bread I have ever made in my thermie, and I have tried a few now. Thanks for the great recipe! Mine came out so heavy and dense! Tasted ok but I’m wondering if I did something wrong . Not light and fluffy at all. been making a variation of this with perfect results. I do not use all that sugar and cut it down to just 50grams total sugar. I also add 40 grams of Canadian maple syrup. That sounds great, I can’t wait to try it! Absolutely best banana bread! I love how dense this was, beautiful texture but will cut back the sugar next time. Thankyou! Please could you clarify temperature for a fan oven (I’m in the UK). Generally recipes have conventional, gas and fan oven temperatures. My Banana bread was like uncooked dough through the middle and at the bottom,although I checked it with a skewer. I will try again….. I added walnuts, and was a great success. 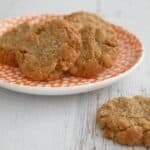 Serve with philly cream cheese icing! Is the coconut oil meant to be melted? Would sunflower oil work if I added some coconut flakes to give it that special flavour? Just made this banana bread has come out great so soft and delicious thanks for the recipe.